Originals to use and wear! Galaxy Festival Bikini Top - Boho Bikini Top - New For 2019! - Space Halter Top - Burning Man Fun! Graffiti Festival Bikini Top - Boho Bikini Top - New For 2019! - Graffiti Halter Top - Festival and Burning Man Fun! Announcement Check out my sample sale section! Up to 75% off custom hand tailored clothing...I have closed my brick and mortar shop and stopped vending at festivals so I need to clear out the many OOAK items I made as examples and visual interest. Such a deal!!!!! Supersmallfry is happy to offer you the many fruits of my creative labor! Unique vintage meets modern hand tailored clothing and custom retro aprons. 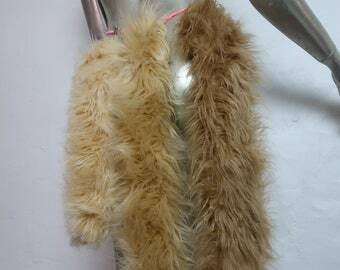 Faux fur mohawk hoodies for kids, dogs and adults. Handmade laptop and tote bags. Original designs screenprinted with water based ink on T-shirts, tea towels and tote bags. I am adding new items a few times a week, so check back. Feel free to contact me if there is a design you like that you would prefer on a different item, or in a different size... I'm happy to do custom orders. 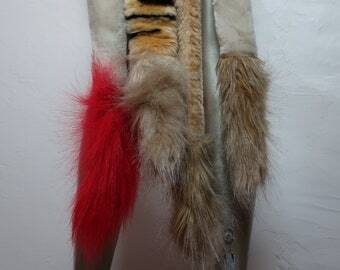 over to supersmallfry...check back for faux fur clip on tails and wild monster furry hoods! And my etsy shop where I offer the worlds only source for Lucky Monster Faux Paws! where you will find our original illustrated children's book 'Beautiful Misfits' and also lots and lots of adorable handmade OOAK furry stuffed misfit monsters! Check out my sample sale section! Up to 75% off custom hand tailored clothing...I have closed my brick and mortar shop and stopped vending at festivals so I need to clear out the many OOAK items I made as examples and visual interest. Such a deal!!!!! 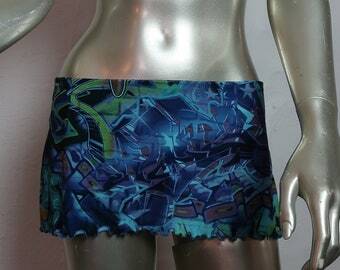 Graffiti Festival Micro Mini Skirt - Boho Short Short Mini Skirt - New for 2019! - Graffiti Buns Cheeky Mini Skirt - Burning Man Fun! 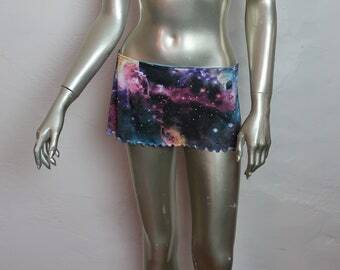 Galaxy Festival Bikini Micro Mini Skirt - Boho Short Short Mini Skirt - New for 2019! - Space Buns Mini Skirt - Burning Man Fun! This is a great top. Perfect! Blue furry Bikini Top - Super Soft Sky blue Furkini - Fur Bikini Top - Faux Fur String Bikini top - Burning Man Fur Costume! I'm really thankful to the seller for setting up an order for the last yard of this amazing fabric. Arrived quickly and it's beautiful.. I'm obsessed with this design! I think I may frame a section of it. Thank you again. Hi there, Supersmallfry believes that with communication all things are possible so please contact me if you have any questions. Everything Supersmallfry sells is handmade by me, smallfry, so it is bound to be unique. If, for some strange reason, you really are not happy with the item you have purchased you may return it to me at your expense and I will refund your purchase price minus actual shipping costs. Supersmallfry accepts etsy direct or paypal payments, Money Orders, or Personal Checks. Personal checks must clear the bank before item will be shipped. New Mexico residents will be relieved of 6.25% NM sales tax at checkout. I know, it's like pouring water on a drowning man. Shipping for all items will be via USPS first class mail with delivery confirmation. There is an optional upgrade to USPS Priority Mail available at checkout. If you would like to arrange insurance for your item, or express shipping, please contact me before making your payment. Wholesale inquiries are welcome as are inquiries regarding custom orders.